When a traditional cotton towel is used to wipe your club, dirt and moisture are pushed around and into the club crevices, leaving it wet and unclean. 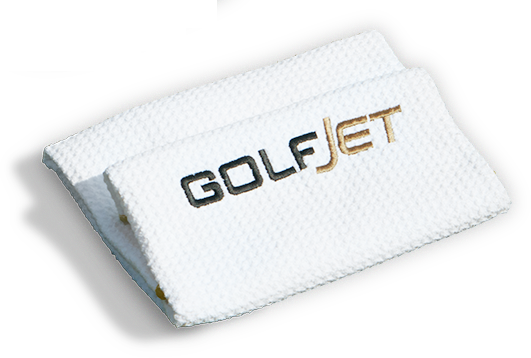 GolfJet MicroFibre technology attracts dirt and moisture leaving your club clean and dry. Using the GolfJet MicroFibre towel, and Blade Tee’s as a crevice tool, will help keep club face grooves clean. This will help you generate maximum spin from your JET series Golf Balls. This site is optimised for Chrome, Firefox, Safari, Edge.